Alrighty. Here it is, my very last Glossybox US box. (At least for the time being.) I’ve been a Glossybox US subscriber for exactly one year and I’m just not as impressed as I used to be. There is no denying that the brands and products featured in each month’s Glossybox are high end and top quality but I feel like every month I get a different version of the same box. This month’s box was actually quite a good one. It was a tough decision for me to click that cancel button but it had to be done. It’s time I applied my subscription cost to other products. 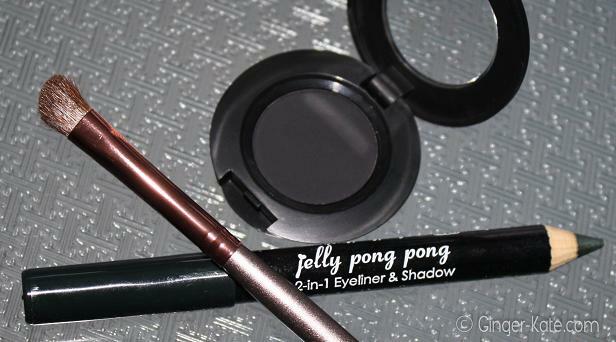 Jelly Pong Pong – 2-in-1 Eyeliner & Shadow – A dark grey-green, this pencil applies nicely and I’m a huge fan of the color. Emite Makeup – Micronized Eye Shadow in Dams – I love dark eye shadows. This one is highly pigmented and has a smooth application. I’m very happy to have received this product and have to say it is my favorite this month. Nicka K – NY Professional Eyeshadow Brush – I got the angled shadow brush. I’m always happy to acquire a new top-quality brush! Very please with this one and it does a fantastic job helping me achieve the smokey eye I love so much. 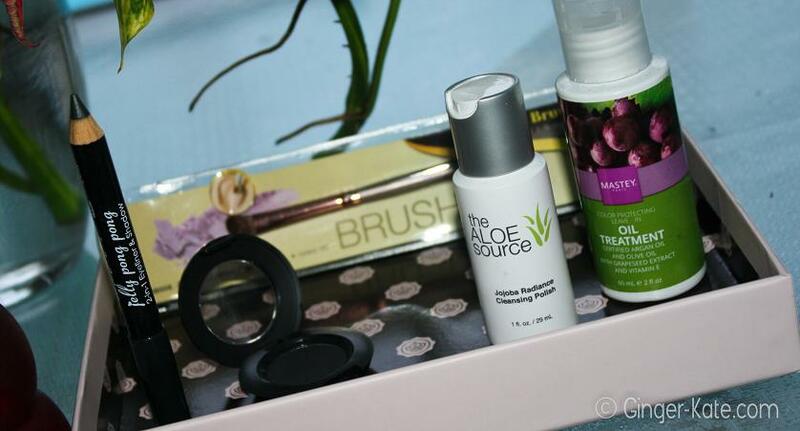 The Aloe Source – Jojoba Radiance Cleansing Polish – Nice cleanser, makeup remover and exfoliater. Feels good and works nicely on my sensitive skin. But I’m pretty bored with receiving cleansers and creams each month. This is the top reason I’m leaving glossybox. Mastey – Color Protection Leave-In Oil Treatment – Haven’t used this product yet but I will. I’m sure its lovely but it’s just not the type of product I look forward to receiving in my monthly cosmetics subscriptions. … I prefer cosmetics. 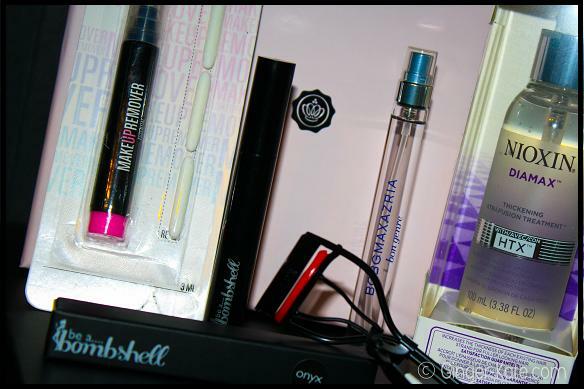 Caio, Glossybox! It’s been a lot of fun and I’ve received a lot of fabulous products. It’s just time for me to be moving on. This was a great box to part on; I wasn’t disappointed with most of the featured products as I have been the last several months. 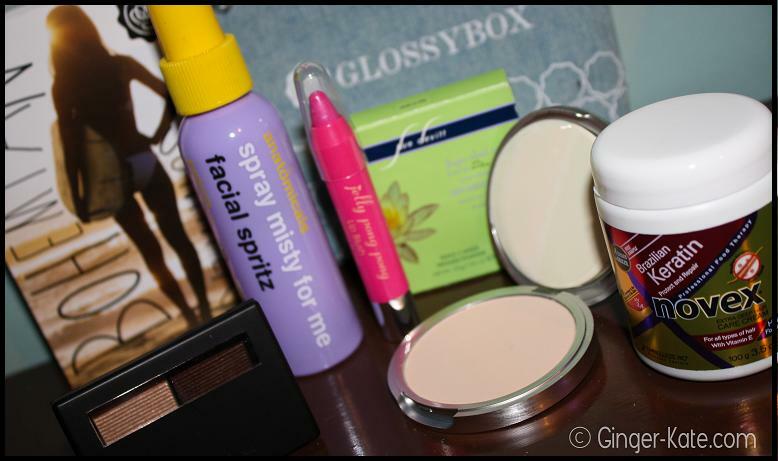 I’ll be posting a year in Glossybox review soon featuring all my glossyboxes over the past year as a subscriber so please check back for that especially if youre considering becoming a Glossybox subscriber. I’m still an active Ipsy member so I will continue posting my monthly reviews of those. 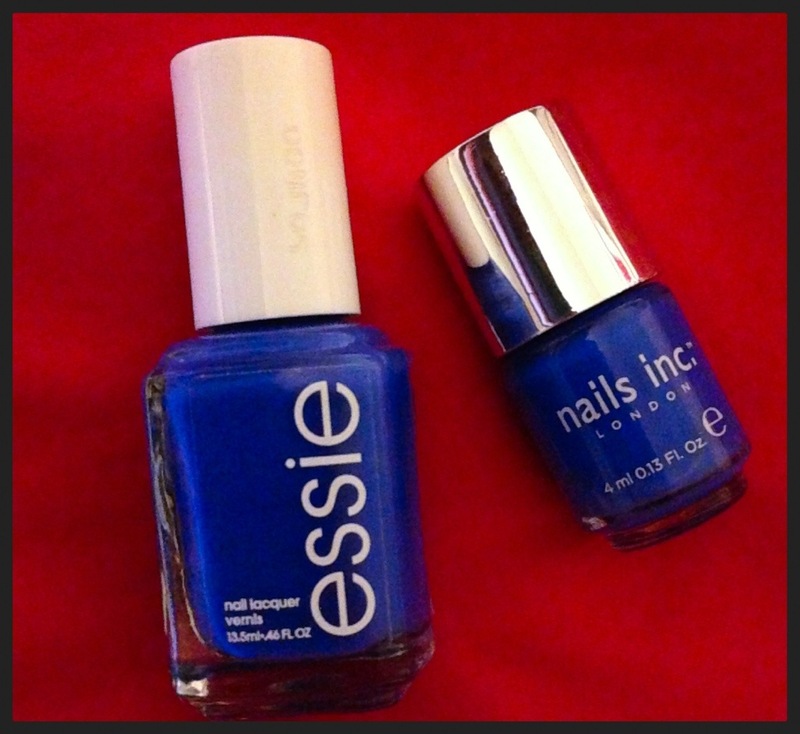 Here’s a closer look at my three favorite products I received this month. Tarte – Lights, Camera, Flashes Statement Mascara – This is a full size product and the product I’m most excited to receive this month! The Application wand has two distinct side, one with more flexible bristles for layering product, the other with stiffer bristles to break-up lashes and avoid clumping. I’m a huge fan of Tarte products and am loving this mascara!! Sesha – Renu Exfoliating Gel – Wow! Honestly, Wow! This exfoliater does it’s job and so gently! You don’t feel a bunch of scrubby bits, but as you massage it into your skin, the dead skin just rubs right off. After rinsing, my skin feels AMAZING! I love this product! Balance Me – Shine On Tinted Lip Slave in Super Soft Beige – A very subtle tint, this lip salve feels great! It feels so fresh and tingley! It smooths, hydrates and adds gloss to lips and it’s 100% natural organic! Fresh – Lotus Youth Preserve Face Cream – Anther face moisturizer… This isn’t the first product from Fresh I’ve sampled thanks to Glossybox; their products are great quality with great ingredients. This face cream is no different. It smells like cucumbers too! I’m just ready bored with face creams in my monthly boxes. Overall I’m pleased with the products I received inspite of the yawn-inspiring reaction it gave me. I’m going to stick out my Glossybox subscription for one more month and then cancel. It’s been fun, Glossybox, but I’m just not as impressed as I used to be. My September Glossybox arrived yesterday (yes, I’m shocked at my turn-around on this post also) and it is quite a fantastic box! I am more please with this months Glossybox than I have been with recent boxes. 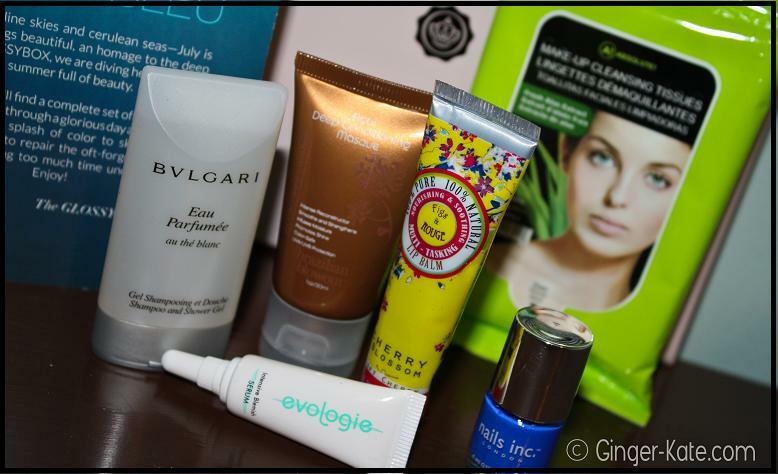 I’m very excited about each of these products so I’m going to jump right in! Oceane – Makeup Remover Pen – What a fabulous new must-have for me! I don’t know if pens like these have been around for a bit or are a recent development but it is certainly a brilliant new concept to me and I have positively stoked about receiving this. I gave it a try last night and do believe this sweet angel will save me when I make an application oopsy. When I first opened this pen I thought it was to assist in the removal of your daily makeup, the stuff you cant get close enough to with a cloth. I was so disappointed that instead of removing my liner for a night of sweet slumber it instead smudged it around [creating quite a beautiful smokey line, however]. Once I read the glossy description, I realized its true purpose and experimented to find it does, indeed, do it’s job which is to remove the mistakes made when putting your face on. Love this product! Be A Bombshell – Eyeliner Pen in Onyx – I LOVE IT! I LOVE IT! I LOVE IT! [kicking leg high in the air as I purch on my desk chair as Joyologist, Helen Madden would]. Beautiful black onyx, smooth application, durable and not easily smudged: The perfect liner for a flawless and dramatic classic look. Also with Halloween coming up, this could come in very good handy! It’s like using a Sharpie… and I love that. Emite Makeup – Eyelash Curler – I have several eyelash curlers: a cheap one, I have the same cheap one but newer and I have an even cheaper than ‘the cheap one’ one. I’m a big fan of curling my lashes and this curler by Emite does it far more comfortably than my others. I don’t have to squeeze hard and go back for second and third rounds with this curler. I guess I never realized the importance in a higher quality lash curler; you live and you learn and you get more beautiful! BCBGMAXAZRIA – Bon Genre Eau De Parfum – I like this scent a lot. When first applied, there’s a soft citrus amongst the floral. After it settles, aerates and bio-chem has kicked in, the scent softens yet is not undetectable. A delicate femininity teaming with a vibrant up-beatness. Anyway, I like it on me. Nioxin – Diamax Treatment – Glossybox, have you seen my hair? Thickness isn’t a big issue. However, this treatment is also intended to prevent breakage and strengthen hair. Cooler weather is just around the corner and when I wear my hair straight, it is, obviously, less voluminous than in its curly state. Perhaps a little more fullness will do my straightened locks some good this winter. I’m excited to use this and since this is a full bottle, I’m pretty jazzed. Fantastic box this month, Glossybox! Absolutely wonderful! I’ve been planning on making September my last Glossybox. I received my first in October last year so I made it the entire year (which I can not say about Birchbox. blech) but I think it’s time I move on, at least for now. Who knows? I may decide to resubscribe in the future… OR I may login to cancel, do some glossydot math and possible receive one more on the house. 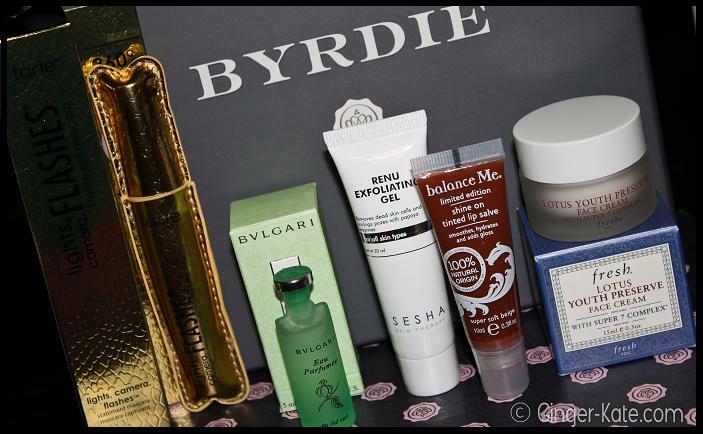 (I should really check this out…) What I’m saying is that this will probably be my last Glossybox review [for now] but i just might have anther one in me. Check back and see! Thank you so much for reading! And a special thank you to all my subscribers from the beginning: I know my blogging gets a bit willy-nilly from time to time and I space-out only to pop up out of nowhere with far too many post alerts; I just want to say how very much I appreciate you guys staying subscribers and for welcoming me back so enthusiastically each time. It means a lot. To all my new subscribers: thank you too! I’m so glad you found your way to ginger-kate and decided to return! Twitter (@xGingerKate) even though I’m horrible at tweeting. 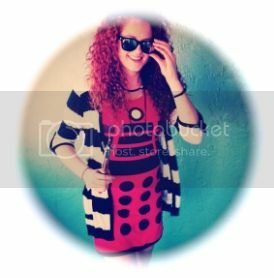 Tumblr (Ginger Kate) to satisfy my nerd-girl cravings. – Jelly Pong Lip Blush in Marshmallow Pink. Love the color. Love the twist up. I’ll have some fun with this lip crayon! I’ll give this a try when I straighten my hair in the cooler weather (only about 3 months away!) but the packaging reminds me of weird products you find at a severe discount store (like big lots, cheap johns or wise buys) or you might find it on a table at an old lady’s yard sale. Not so sure about this one but only testing it will really tell! I love this product! I didn’t think I would but this stuff is fabulous! I give my face a spritz after a shower when in lounging about my house or after washing my face for the night. I like the feeling of this powder when on and will definitely use it. Great colors. I can always use more neutrals. One complaint: your entire face gets sparkley after a very short time wearing. The color stays intact during a full night of bartending but the shimmer is all over. I happen to enjoy shimmering on the job but I felt it needed to be shared. – BONUS: Guess Denim Makeup Bag. Hang on, let me velcro my LA Gear hightops and break out my Sony Walkman too. … Guess, Glossybox? You guys are silly. I’m more pleased with this month’s glossybox than I have been for a while now. Honestly though, I don’t know how much longer Ill keep my subscription. $21 a month can be applied to products I like and want instead of a 5-sampled dice-roll. I can tell some deep thought and contemplation will have to go into this decision. I’ll give this a try eventually but with my humidity-prone ringlets. Enough with the Bvlgari shower and bath crap already! Not excited about this at all. Smells great I just don’t care about trying this. This was a nice find in this months box. I’ll definitely put this lip balm to good use! Feels great and i like the subtle color. Love the color but I have a very similar one already in Essie’s Butler Please and the quality of Nails Inc is nothing like Essie’s. Once again, I’ll use this but I’m not happy, excited or impressed at receiving it. Applied before bed, my skin felt a bit tight but fresh.